Taveuni Dive Resort is the best Resort-to-Reef experience on Taveuni. Our sustainable resort is focused on providing comfort, service, and being the best gateway to the authentic Taveuni adventure. For 14 years, Taveuni Dive has been the preferred choice for diving on the island of Taveuni. We listened to what our guests wanted in a dive resort, and built it. 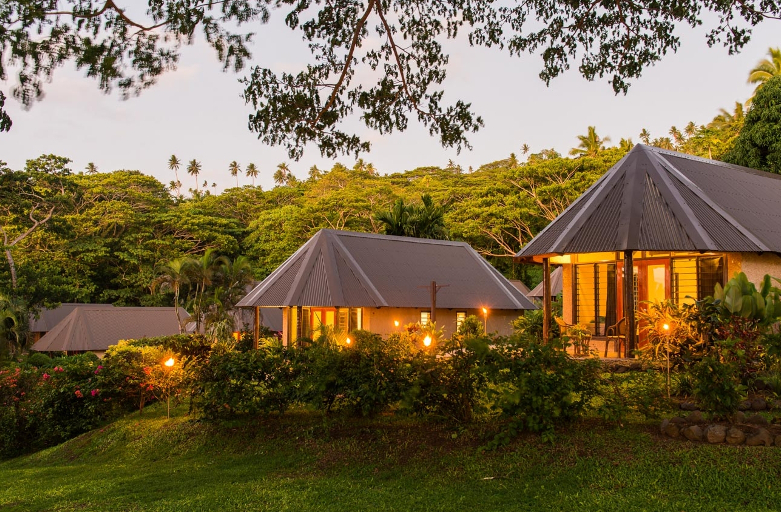 The first sustainable resort on Taveuni, Taveuni Dive Resort provides guest accommodations, dining, scuba diving, and tourism activities to chartered dive groups, small groups of scuba divers, and other tourists attracted to the locale. The resort operates a restaurant (bar & grill), as well as a small retail market for residents of Taveuni Estates and tourists alike.